What is grape seed extract? Why do we need it? Grape seed extract is a nutrient that belongs to the bioflavonoid family. It is derived from the seeds and skin of grapes, which can be green, red or purple in color. The active ingredients contained in grape seed extract are believed to act as antioxidants; studies have shown that grape seed extract supplements can raise the amount of antioxidants in the blood dramatically. These antioxidants can neutralize substances called free radicals, and may reduce (or prevent) much of the damage they cause. Grape seed extract has proven to be valuable in the treatment of inadequate blood flow in the capillaries and veins; small studies have produced increased capillary strength using as little as 50 milligrams per day, and increased venous blood flow using 150 milligrams per day. Other studies have shown that it improves the aspects of vision in healthy people, including the prevention of age-related macular degeneration and the effects of glare from bright lights. How much grape seed extract should I take? There is currently no recommended daily allowance (RDA) for grape seed extract. However, an intake of between 50-100 milligrams of grape seed extract is recommended for the prevention of heart disease and circulatory problems; larger doses may be used to treat specific illnesses. What forms of grape seed extract are available? Grape seed extract can be found either alone or in combination with other nutrients as part of a multivitamin, multiherbal supplement. It can also be found in herbal extracts, capsules or tablets. What can happen if I take too much grape seed extract? Are there any interactions I should be aware of? What precautions should I take? 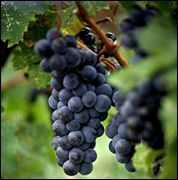 Flavonoids in general, and the flavonoids associated with grape seeds, are considered free of side-effects. Since they are water-soluble, any excess levels of grape seed extract that are not absorbed by the body are excreted via sweat or urine. However, women who are pregnant or breastfeeding should avoid grape seed extract supplements. As of this writing, there are no known drug interactions with grape seed extract. As always, make sure to consult with a licensed health care provider before taking grape seed extract or any other dietary supplement or herbal remedy. Bagchi D, Bagchi M, Stohs SJ, et al. Free radicals and grape seed proanthocyanidin extract: importance in human health and disease prevention. Toxicology 2000;148(2-3):187-197. Chou EJ, Keevil JG, Aeschlimann S, et al. Effect of ingestion of purple grape juice on endothelial function in patients with coronary heart disease. Am J Cardiol 2001;88(5):553-555. Ernst E (ed.) The Desktop Guide to Complementary and Alternative Medicine: An Evidence-Based Approach. Edinburgh:Mosby, 2001, pp.118-119. Freedman JE, Parker C III, Li L, et al. Select flavonoids and whole juice from purple grapes inhibit platelet function and enhance nitric oxide release. Circulation 2001;103(23):2792-2798. Waffo-Teguo P, Hawthorne ME, Cuendet M, et al. Potential cancer-chemopreventive activities of wine stilbenoids and flavans extracted from grape (vitis vinifera) cell cultures. Nutr Cancer 2001;40(2):173-179.